Member focused digital transformation (Trillium) 24th jan 2019 - join us! In 2019 a key challenge for associations is to create a member focused digital transformation strategy. In this free half-day seminar we will focus on just that. In isolation, a new membership web or CRM project can seem a daunting organisational project, especially in the context of tight budgets and legacy technology or thinking. Attempting to update both platforms simultaneously can seem beyond most member organisations’ resources. As well as sharing the Digital Transformation experiences of the Chartered Institute of Environmental Health, there will also be a chance to resolve your specific challenges in our break out Digital Surgeries. The Surgeries will give you the opportunity to work through some tailored exercises directly with one of our expert consultants and get advice specific to your organisation’s needs. This event is designed to support Directors, Heads and Managers involved in all or part of their membership organisation’s digital transformation. If you are responsible for your CRM, website or both, this event will help you consider your approach more strategically. Whether you are looking for new technology platforms or seeking a better way to optimise what you have, this event will help you. This event is for membership bodies with more than 10,000 members. Insights into how to build the foundations for digital transformation by choosing the right platform (CRM & CMS) for delivering your long -term objectives (and why Microsoft Dynamics 365 CRM and Umbraco CMS worked for CIEH). How we helped CIEH link their strategic objectives to what was possible within their timeframe and budget. Including defining priorities, key metrics for success and setting up governance as part of their digital transformation strategy. How to we worked with CIEH to efficiently identify their myriad of requirements but also ensure a focus on an aligned approach that delivered value in the shortest time for the lowest amount of budget. You will be allocated to a small group according to your specific challenge. Our expert consultants will then work through bespoke experiences designed to help you identify the best strategic approach. Be able to identify the potential barriers to your project progression and how to overcome them. Alan has been working at Trillium since he co-founded it over 8 years ago. 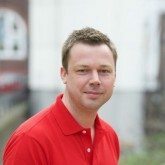 He is responsible for sales, marketing and strategic direction. Gavin co-founded Trillium with Alan over 8 years ago as an experience focused consultancy with two main themes: Business Systems and Digital. Justin has worked at CIEH for over 10 years. He has overall responsibility for the IT function, including IT Operations, Service Desk, Business Systems and Project Management. Owen has been at the CIEH for just under 2 years. He has over 15 years marketing experience, specialising in digital marketing, working across a wide variety of sectors including travel and tourism, education, government and charity. His experience spans a range of disciplines including social media, website management, content creation, digital strategy, PPC, SEO and email marketing. Criteria for entry: Delegates should work for a membership organisation or association with 10,000+ individual members (or equivalent). Entry is at the full discretion of MemberWise/Trillium Systems. 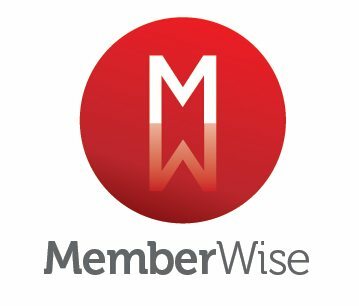 (c) MemberWise 2019.